The Rotary Club of Saskatoon Meewasin was awarded the Rotary International Significant Achievement Award for 2015-2016. The club was awarded for their on going Reading Program at the St Michael Community School in Saskatoon which has been ongoing for a few years. 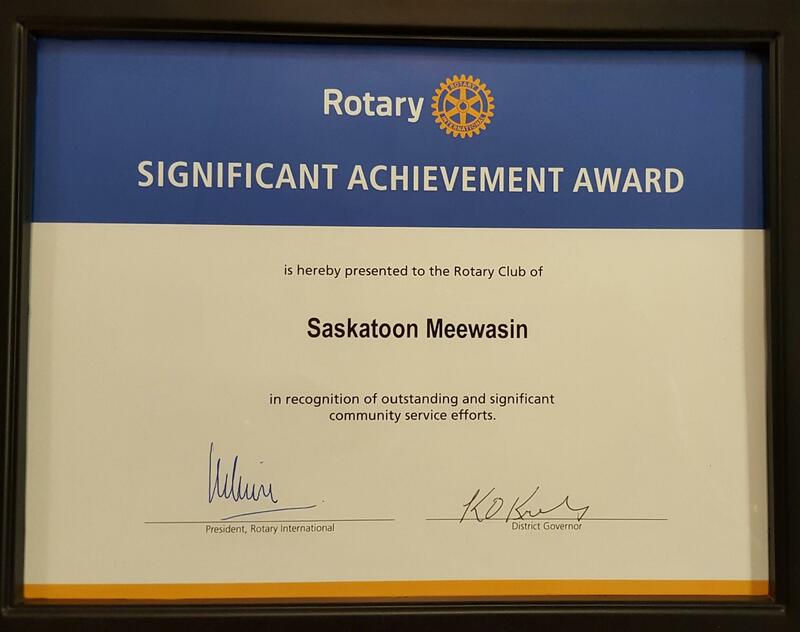 The Rotary Club of Saskatoon Meewasin was conferred with the Significant Achievement Award for 2015-2016. The award was in recognition of their ongoing Reading Program at St Michael Community School. It is noteworthy that out of over 30,000 clubs worldwide, only 200 are singled out for this award. The award is given to clubs who have "made a meaningful impact in the life of your community". The program was chosen as the best in the Rotary District 5550, after rigorous vetting and then sent on to Rotary International. The District Governor, Ken Krebs, came down from Gimli, Manitoba to personally had over the plaque and letter from the President, Rotary International and the Plaque. The ceremony took place during the weekly meeting of the Club at Hotel Hilton Garden Inn, on Monday, June 20, 2016. The club President Bert Klassen accepted the award on behalf of the club. 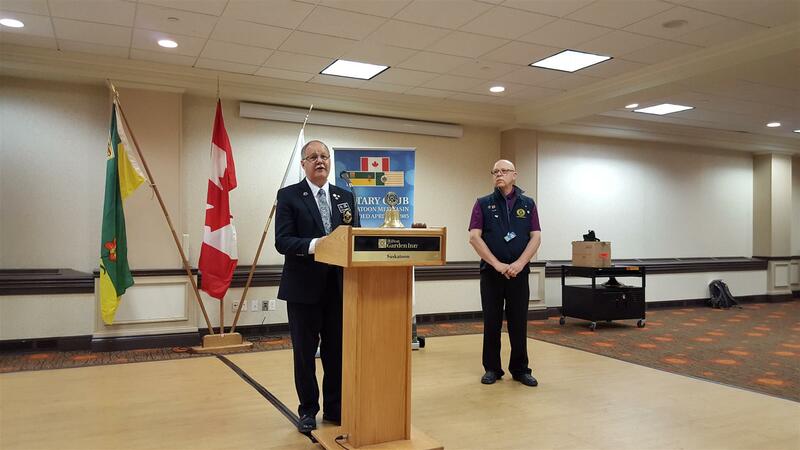 During his address to the club, the DG commended the efforts of the membership in striving towards the betterment of the Saskatoon Community.